Here is everything there is to know about the essentials of life as a Marine. 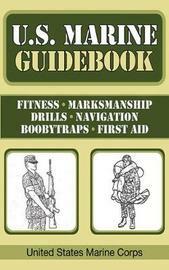 From fitness to first aid to firing positions, this book covers all subjects in which every troop, regardless of rank, must maintain proficiency. Learn the Military's Code of Conduct, understand the Dos and Don'ts of surviving as a POW, and grasp the foundation of military law. Find out about Marine customs, uniforms, and drills. Follow the Marine Corps fitness routines to get into the best shape of your life. Read the detailed section on first aid and learn how to perform CPR, make braces for broken limbs, dress and bandage wounds, improvise slings, and transport injured victims. Find out about the symptoms and treatment of chemical agents and learn how to safely travel through a contaminated area. 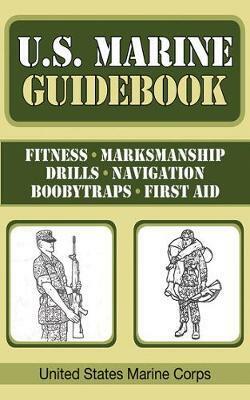 Also included in the U.S. Marine Guidebook are marksmanship requirements; navigation tactics; and nuclear, biological, and chemical defense. The U.S. Marine Guidebook details procedure during combat, including code of conduct in war and when to use deadly force. Because these subjects are first taught and tested during recruit training, they are the distinctive qualities of a Marine and his training. Anyone who is interested in what makes a Marine the strong, brave, and skilled individual he or she must be will find this book fascinating.